Creating an outside office shed gives you an isolated space where you can focus completely on your next big project or indulge your imagination. 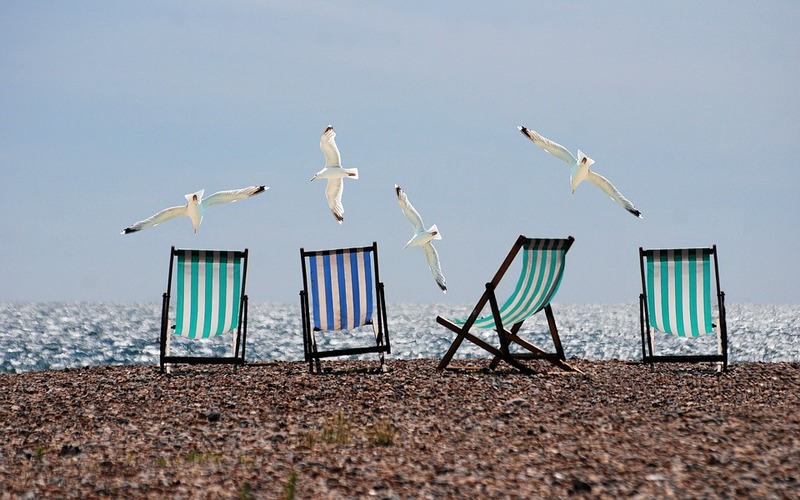 Follow our guide on creating an idyllic outdoor office which will motivate you to work, even on a Sunday! First of all, it’s vital that you pick the right shed for the office you’re planning on creating. Depending on what kind of office you’re hoping for will depend on what shed or log cabin you pick. 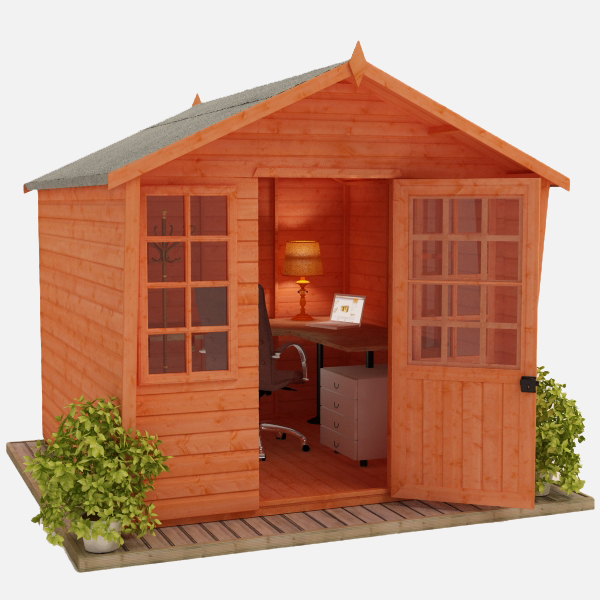 The Tiger Sunlit Chalet makes the perfect office shed as it gets plenty of natural light, which makes a great working environment, and is ideal for anyone looking for a space dedicated to working alone. 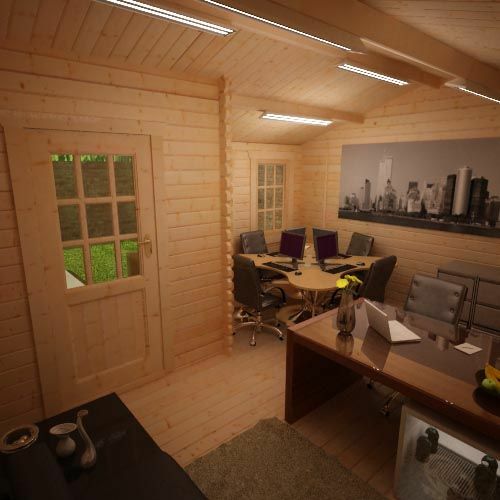 The Amur Log Cabin is a great option for anyone who needs a bigger office space. 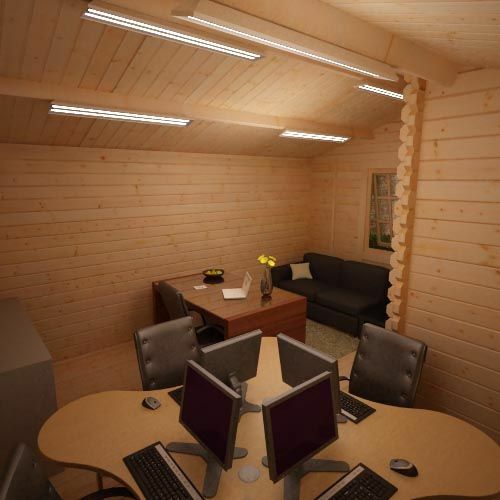 This stunning log cabin fits more than one desk, leaving plenty of room for chairs and other important office equipment, making it an ideal working environment for more than one person. Or maybe a huge office just for you? The perfect desk is imperative when you’re seeking inspiration. 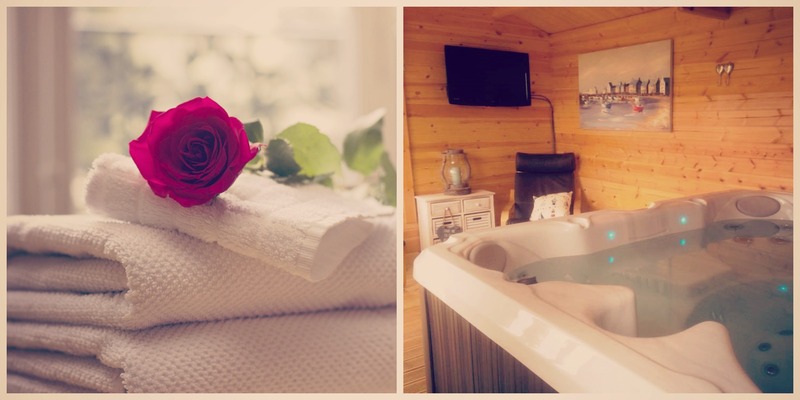 Of course it depends on what space you have in your shed or log cabin so ensure you make the correct measurements beforehand when picking your desk. 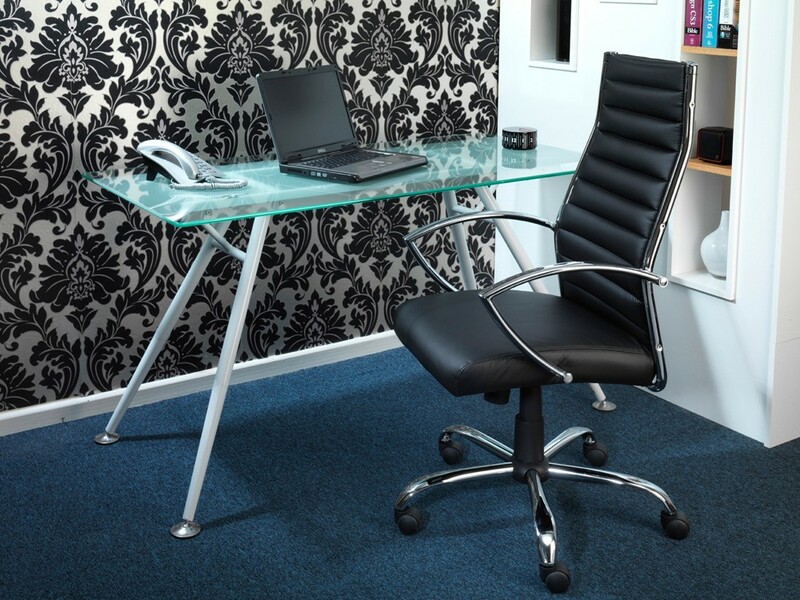 The Springfield 02 glass desk from BT Office Furniture is ideal for smaller spaces and would instantly add some elegance and style to your office shed. 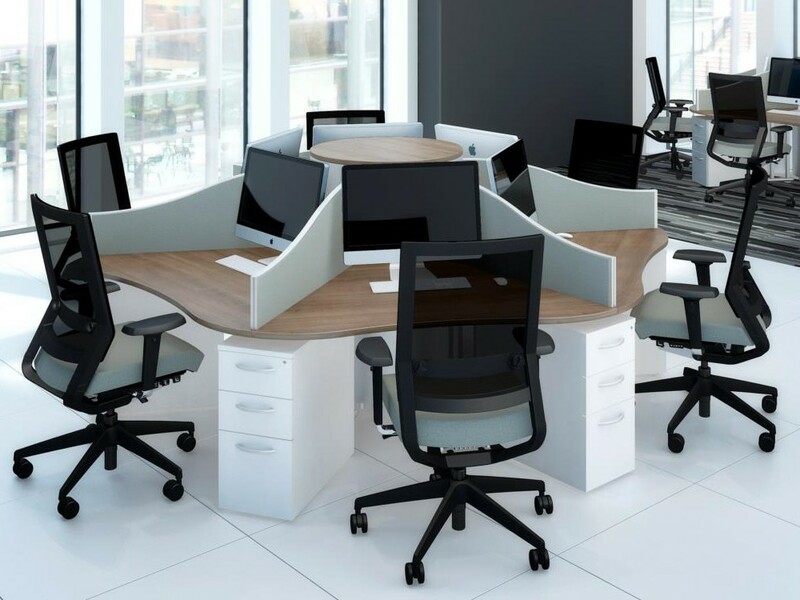 The Optim 10 from BT Office Furniture is a great choice if you’re hoping to create a bigger office space, maybe for a log cabin, which will more than likely include more than one worker. 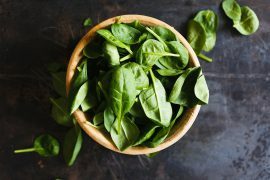 Your board should be the main spot where the planning begins and everyone can work together so it’s important to get the right product which will keep the motivation flowing. We love how this wooden chalk board gives a throwback feel to any space. It will take you right back to the 90s! If you’re planning on a busier office space then you may need a more robust product. 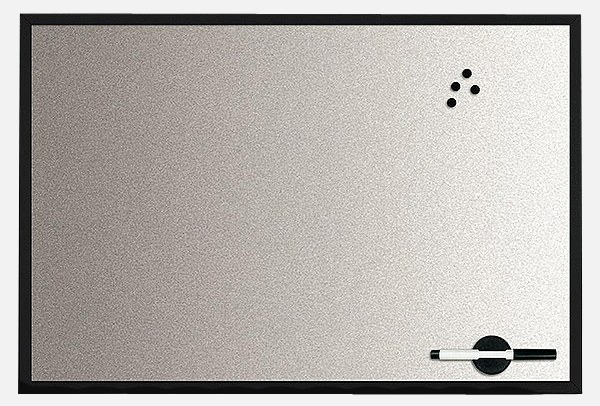 This magnetic silver board will instantly bring a modern touch to your working environment and can be used over and over and yet look brand new. 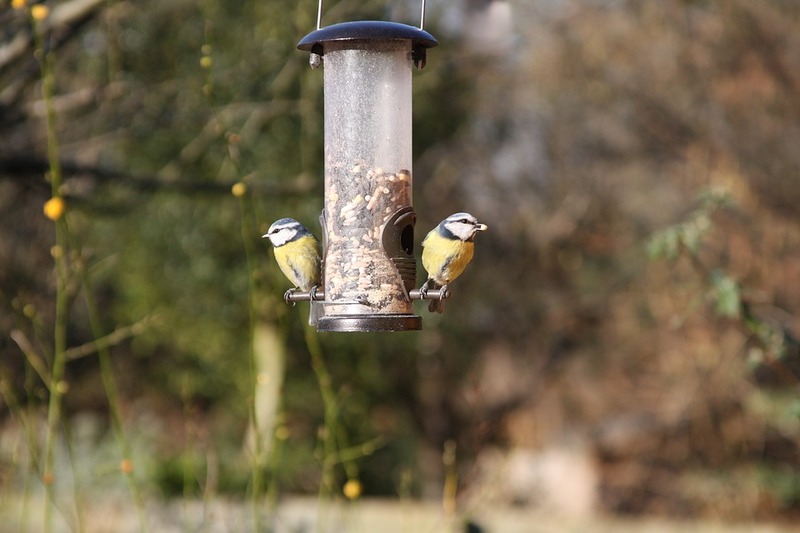 To keep your shed neat and tidy at all times clever storage is key! 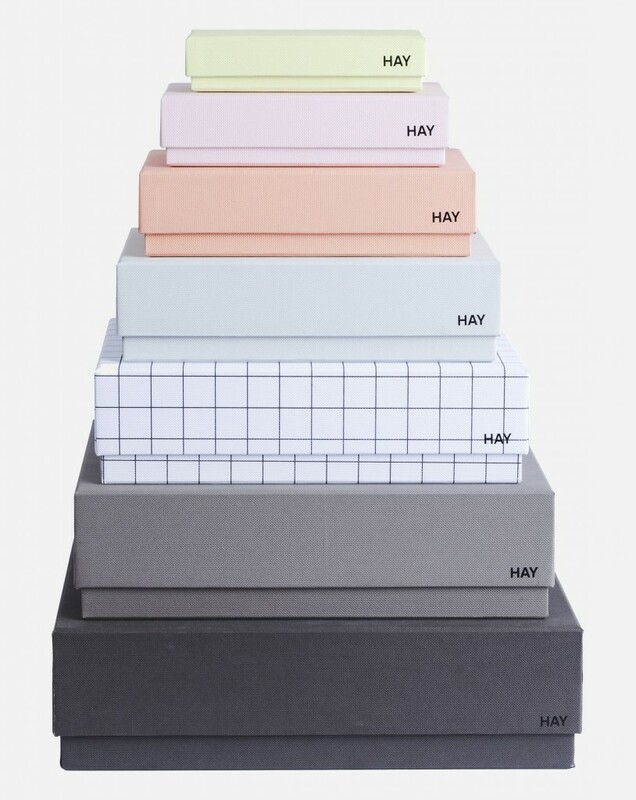 These boxes are not only super stylish but also practical for storing away all those bits of paper and important documents. Ideal for keeping your beautiful office shed looking it’s best at all times. 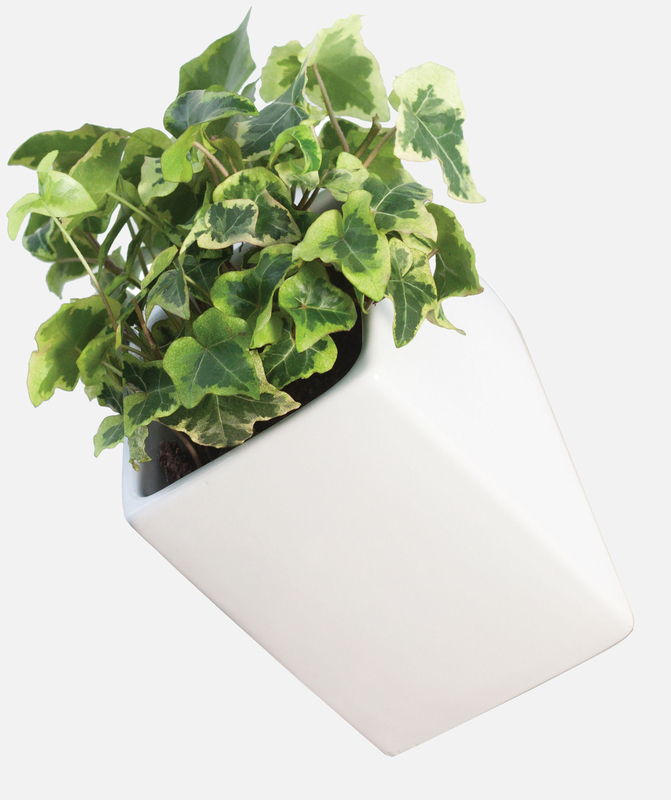 Plants give your office space that feeling of fresh air which make you concentrate better and generally improve the working environment. We love how this off the wall design can bring any room alive! Nothing keeps you motivated like the perfect desk set up! This stunning wooden collection is trendy and sophisticated bringing style and class to your office shed. 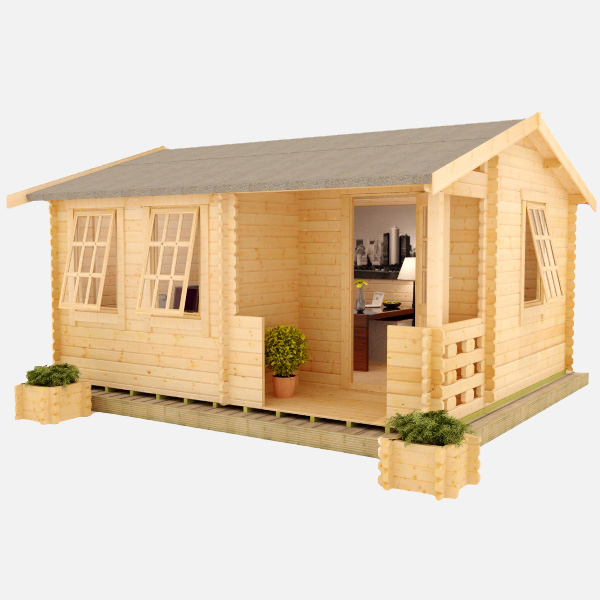 If you’re looking for a garden office then head over to our section dedicated to log cabins perfect for a home office.